Big open data... or is it? Huge news for data scientists and educators. Equinor, the company formerly known as Statoil, has taken a bold step into the open data arena. On Thursday last week, it 'disclosed' all of its subsurface and production data for the Volve oil field, located in the North Sea. What's in the data package? A lot! The 40,000-file package contains 5TB of data, that's 5,000GB! This collection is substantially larger, both deeper and broader, than any other open subsurface dataset I know of. Most excitingly, Equinor has released a broad range of data types, from reports to reservoir models: 3D and 4D seismic, well logs and real-time drilling records, and everything in between. The only slight problem is that the seismic data are bundled in very large files at the moment; we've asked for them to be split up. Regular readers of this blog will know that I like open data. One of the cornerstones of open data is access, and there's no doubt that Equinor have done something incredible here. 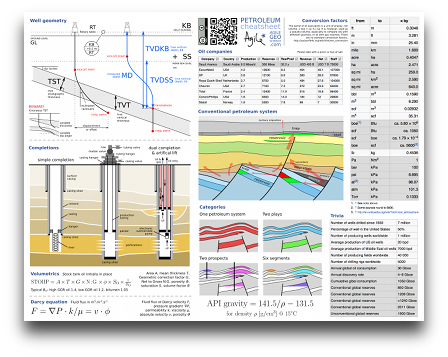 It would be preferable not to have to register at all, but free access to this dataset — which I'm guessing cost more than USD500 million to acquire — is an absolutely amazing gift to the subsurface community. Another cornerstone is the right to use the data for any purpose. This involves the owner granting certain privileges, such as the right to redistribute the data (say, for a class exercise) or to share derived products (say, in a paper). I'm almost certain that Equinor intends the data to be used this way, but I can't find anything actually granting those rights. Unfortunately, if they aren't explicitly granted, the only safe assumption is that you cannot share or adapt the data. 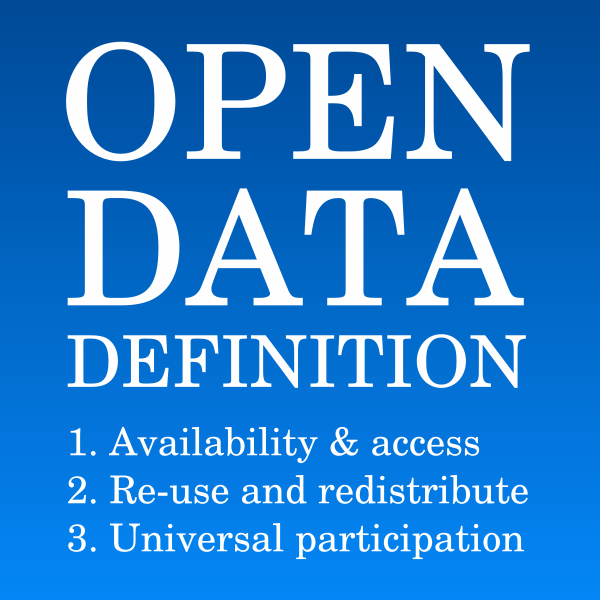 You can dig further into the requirements for open data in the Open Data Handbook. The last thing we need is yet another industry dataset with unclear terms, so I hope Equinor attaches a clear licence to this dataset soon. Or, better still, just uses a well-known licence such as CC-BY (this is what I'd recommend). This will clear up the matter and we can get on with making the most of this amazing resource. The Volve field was discovered in 1993, but not developed until 15 years later. It produced oil and gas for 8.5 years, starting on 12 February 2008 and ending on 17 September 2016, though about half of that came in the first 2 years (see below). The facility was the Maersk Inspirer jack-up rig, standing in 80 m of water, with an oil storage vessel in attendance. Gas was piped to Sleipner A. In all, the field produced 10 million Sm³ (63 million barrels) of oil, so is small by most standards, with a peak rate of 56,000 barrels per day. 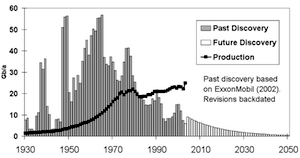 Volve production over time in standard m³ (i.e. at 20°C). Multiply by 6.29 for barrels. 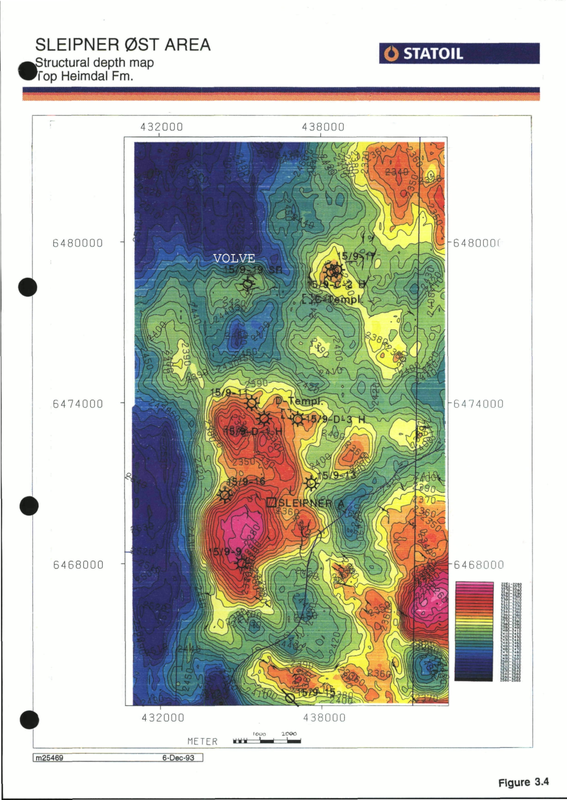 The top reservoir depth map from the discovery report. The Volve field (my label) is the small closure directly north of Sleipner East, with 15/9-19 well on it. To explore the dataset, you must register in the 'data village', which Equinor has committed to maintaining for 2 years. It only takes a moment. You can get to it through this link. Let us know in the comments what you think of this move, and do share what you get up to with the data! News of the week was maybe a little ambitious, so we're going to scale back to a monthly post. The same sort of news — technology with subsurface application. Whatever catches our beady eyes, really. Seen something cool? Tip us off. First, a quick plug. Matt's writing course is on offer again at the CSPG-CSEG-CWLS GeoConvention in Calgary in May. It's a technical writing course, but it's not really about technical writing—it's about get more people writing more stuff. For fun, for science, for whatever. See the conspicuous ad (right) for more info. OK, two quick plugs. Dropbox just updated their web interface. If you're not a Dropbox user already, you are missing out on an amazing file storage and transfer tool. Files are accessible from anywhere, and can be shared with a simple web link. We use it every single day for personal and project stuff. Get an account here or click on the illusion. A few weeks ago we posted a video of a new augmented reality monocle. Now, news is growing that Google's mysterious X lab is developing some similar-sounding glasses. The general idea is that they connect to your Android phone for communications services, and sit on your face labeling things in the real world, in real time. Labeling with ads, presumably. As the new iPad now totes a screen with more pixels than the monitor you’re looking at, it’s clear that mobile devices are changing everything there is to change about computing. 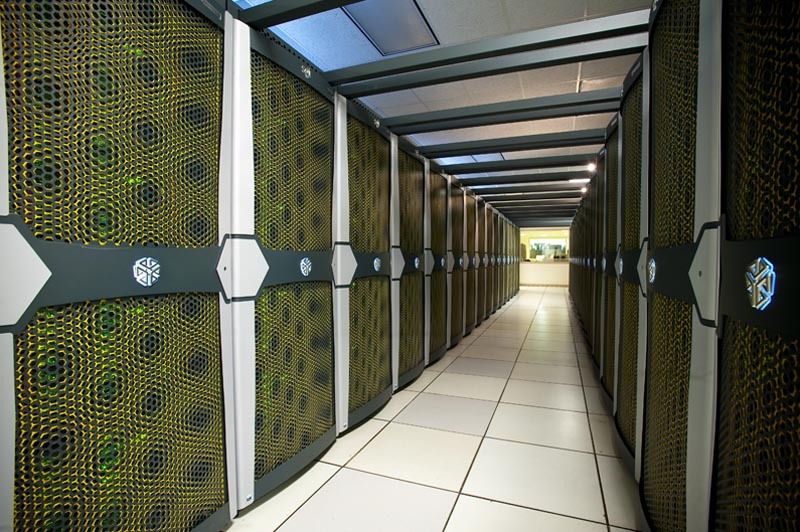 Another SGI ICE, NASA's Pleiades is one of the top ten clusters in the world at 1.4 Pflops. It has a staggering 191TB of memory. Image: NASA. Remember SGI? You know, giant blue refrigeratory thing with 12GB of RAM in the back of the viz room, cost about $1M? Completely wiped out by the Linux PC about 10 years ago? Well, not completely: SGI just sold to Total E&P a giant computer. Much bigger than a refrigerator, and much more expensive than $1M. At 2.3 petaflops (quadrillion floating-point operations per second) this new ICE X machine will be easily one of the most powerful computers in the world. If the press release is anything to go by, and it probably isn't, Total seems to have reservoir modeling in mind, not just seismic processing. I wonder if they have a mixing board yet? Not literally, but there's a small new flame at any rate. 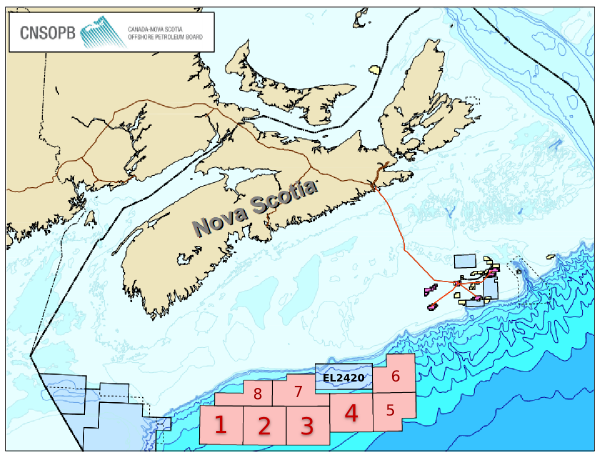 Shell Canada went large in January's bid round on four deepwater blocks off Nova Scotia, committing to almost $1B in exploration expenditures over the next five years. They won parcels 1 to 4 for $1.8M, $303M, $235M, $430M respectively, totalling $970M. This is terrific news for Nova Scotia, and for Canada. This regular news feature is for information only. We aren't connected with any of these organizations, and don't necessarily endorse their products or services. SGI and ICE X are registered trademarks of Silicon Graphics International Corp. 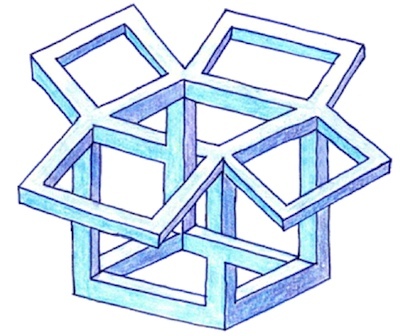 The psychobox illusion is a trademark of Dropbox.com. Offshore Nova Scotia map modified from CNSOPB. Lucrative? No, but I did get paid. Regrettable? No, I'm very happy that I did it. I'm not certain I'd do it again... perhaps if it was the very same course, now that I have some material to build on. One of the things I made for my students was a cheatsheet. I'd meant to release it into the wild long ago, but I'm pleased to say that today I have tweaked and polished and extended it and it's ready. There will doubtless be updates as our cheatsheet faithful expose my schoolboy errors (please do! ), but version 1.0 is here, still warm from the Inkscape oven. This is the fifth cheatsheet in our collection. If you find a broken link, do let us know, as I have moved them into a new folder today. Enjoy! Newsworthy items of the last fortnight or so. We look for stories in the space between geoscience and technology, but if you come across anything you think we should cover, do tell. Back in May we wrote about the offshore licensing round in Newfoundland and Labrador on Canada's Atlantic margin. The result was announced on Wednesday. There was no award on the northern blocks. 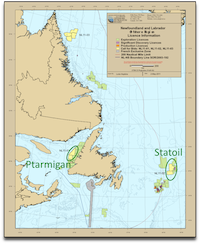 The two parcels in northwest Newfoundland, in the Gulf of St Lawrence, were awarded to local outfit Ptarmigan Energy for a total work commitment of $2.002 million. The winning bids in the Flemish Pass area were won by a partnership of Statoil (at 50%), Chevron (40%) and Repsol (10%). The bids on these parcels were $202,171,394 and $145,603,270. Such arbitrary-looking numbers suggest that there was some characteristically detailed technical assessment going on at Statoil, or that a game theorist got to engineer the final bid. We'd love to know which. CanGeoRef is a new effort to bring Canadian geoscience references in from the cold to the AGI's GeoRef bibliographic database. The Canadian Federation of Earth Sciences is coordinating the addition of literature from the Survey, various provincial and territorial agencies, as well as Canadian universities. Better yet, CanGeoRef has a 30-day free trial offer plus a 15% discount if you subscribe before December. In related news, the AGI has updated its famous Glossary of Geology, now in its 5th edition. We love the idea, but don't much like the $100 price tag. 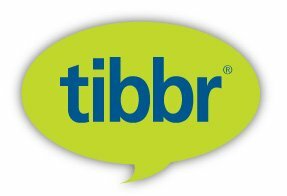 Tibbr is a social media engine for the enterprise, a sort of in-house Facebook. Launched in January by TIBCO, it's noteworthy because of TIBCO's experience; they're the company behind Spotfire among other things. It has some interesting features, like videocalling, voicemail integration and analytics (of course), that should differentiate it from competitors like Yammer. What these tools do for teamwork and integration is yet to be seen. Occasionally you see software you can't wait to get your hands on. When Ron Schott posted this video of some mud-cracks, we immediately started thinking of the possibilities for outcrops, hand specimens, SEM photography,... However, the new 123D Catch software from Autodesk only runs on Windows so Matt hasn't been able to test it yet. On the plus side, it's free, for now at least. To continue the social media thread, Ron is very interested in its role in geoscience. He's an early adopter of Google+, so if you're interested in how these tools might help you, add him to one of your circles or hangout with him. As for us, we're still finding our way in G+. This regular news feature is for information only. We aren't connected with any of these people or organizations, and don't necessarily endorse their products or services. Unless we say we think they're great. The long-awaited news of oil in the Falkland Islands arrived in May last year when UK company Rockhopper Exploration drilled a successful well in the North Falkland Basin. After testing a second well, the estimated volume of recoverable oil in the field, called Sea Lion, was upped last month to 325 million barrels. 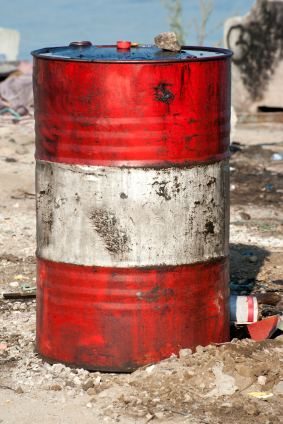 A barrel is one bathtub, or 42 gallons, or 159 litres, or 0.159 m3. Let's be scientific and stick to SI units: the discovery is about 52 million cubic metres. Recoverable means the oil can be produced with foreseeable technology; about half the oil will likely not be produced and remain in the ground forever. Or until humans are desperate enough to get it out. We've had a couple of weeks off in the newsroom, making way for the Canadian Geoconvention in Calgary last week. But this week we're back with geoscience and technology news that has caught our beady eyes recently. 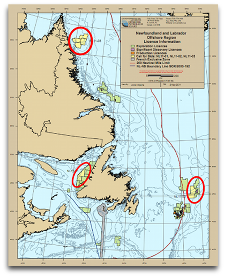 The Canada-Newfoundland and Labrador Offshore Petroleum Board (CNLOPB) called for nominations on three exploration parcels: one in the Gulf of St Lawrence, a second near the northern tip of Labrador, and a third in the Flemish Pass region north of the Jeanne d'Arc Basin. Producing projects in the latter area are delivering about 263 000 barrels per day. Interested parties have until 15 November to submit a bid. Perceptive Pixel has just announced a brand new 27-inch multi-touch desktop screen that could redefine the personal workstation and transform the way we work with computers. This new product isn't totally new technology, but it should be much more affordable and 'desktop ready' than their previous, highly customized, offerings. We can't wait to see seismic data on this thing! CEO Jeff Han originally introduced this technology at a TED conference in 2006. To read more about the technology and the company, which already lists Chevron among its clients, check out the press release. The Open Seismic Repository, curated by dGB Earth Sciences, has just made available the prestack gathers for the Penobscot 3D seismic volume. This is especially exciting for Canadians: the Penobscot data are from Sable Island, Nova Scotia. This data set is over 100 GB and just might be the largest freely accessible seismic data on the web. It's an exciting addition to the collection, which already includes a small subset of gathers (below). 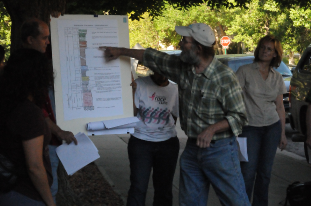 We hope interpretations and reprocessings of these data get shared back into the community. Openness FTW! In other news, dGB Earth Sciences and ARK CLS have launched an OpendTect connector plug-in for Schlumberger's Petrel, so that OpendTect's leading commercial plug-ins can accessed by the Petrel community. The plug-in is available in Schlumberger's OceanStore. This regular news feature is for information only. We aren't connected with any of these organizations, and don't necessarily endorse their products or services. OpendTect is a mark of dGB Earth Sciences, and Petrel and Ocean are marks of Schlumberger. The community of petroleum geoscientists will convene in Houston in a few days for the AAPG 2011 Annual Convention & Exhibition. If any geo-tweeps will be there, spare a thought for those that aren't and update us on the events and happenings with the hashtag #ACE2011. Follow @AAPG_Events or @AAPG on Twitter. Wish we were there! Australian based DownUnder GeoSolutions (aka DUG, at DuGeo.com) have recently announced that they will be opening offices in Calgary in May. One of the young entrepreneurs helping build this emerging technology company's was recently featured in Petroleum Exploration Society of Australia's magazine. One to keep an eye on! The new CGG Veritas office will focus on onshore seismic acquisition and imaging services for the petroleum industry. The centre will also be hosting a university training facility in partnership with the national energy ministry and other industrial partners. In this regard, CCGV is hoping to help develop highly qualified Omani professionals. The April issue of SEG's The Leading Edge features stories of the geoscience community solving global humanitarian problems. The International Symposium on the Application of Geophysics to Engineering and Environmental Problems (SAGEEP) has been formed to tackle everything from natural hazards and environmental awarness issues, to finding scarce freshwater resources in impoverished regions. Read more about how geoscientists are making a positive impact and empowering people through education and technology. Great to see this kind of out-reach. 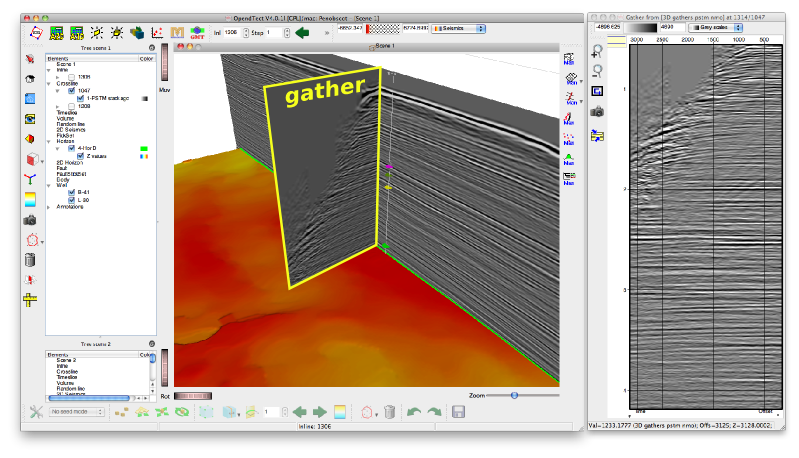 Paradigm will preview its latest exploration and development software technologies and workflows at the AAPG convention 9–13 April 2011. Their agenda covers workflows for multi-disciplinary subsurface teams, next generation geologic software, and a Windows 7 interpretation platform. Paradigm is one of the sponsors of the 2011 AAPG Imperial Barrel Award student propsect competition. Follow them on Twitter: @ParadigmLtd. Ikon Science has teamed up with the experts at Statoil and immersed rock physics modeling templates into the software interface, allowing users do rock physics all in one place. And with a new extension, External Interface, users can add their own C and MATLAB code to RockDoc. As a MATLAB users, we find this is a very appealing step. Click here to read more. dGB Earth Sciences, creators of OpendTect, the purveyors of the Open Seismic Repository, have announced their third Beta release of OpendTect 4.2.0. The roll-out of the official version 4.2.0 is due in mid-April. If you aren't using OpendTect, why not download it, and start using this software today. And while you're at it, grab some data from the Open Seismic Repository. China sprang into the embryonic stages of shale gas exploration and development this week when PetroChina completed the drilling of its first horizontal shale gas well in Sichuan Province. It will be exciting to watch the results China strives to access its massive shale gas resources, which up until now have been beyond its technological reach. Click here to read more. Thanks to industry sponsors BP, Chevron, BG Group, Halliburton, and Schlumberger, the University of Aberdeen will soon be decked-out with state-of-the-art geoscience software and infrastructure. seisLAB will accelerate training, research, and teaching in one of Europe's energy capitals, pushing innovation and collaboration in the field. Click here to read more. As a schoolboy, I used to frequent the second-hand bookshops of Reading, Cambridge, and all over the south east of England. 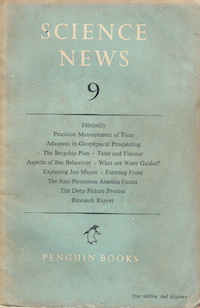 Though not much of a collector, I was taken with the challenge once: Penguin's quarterly science magazine of the late 40s and early 50s: Science News. I completed the set only a few years ago. I'll be honest, while the articles were often very interesting, I was mainly interested in the beautiful cover design. Classic mid-20th Century Penguin. Most of the articles are very dated of course, but I find them interesting to read nonetheless. Today, I thought I'd excerpt a 1948 article by one A Harford: Advances in geophysical prospecting. It's interesting because this post-war period was really the dawn of the golden age of the oil and gas industry. Naturally, this meant rapid advances in exploration geoscience, especially well logging, reflection seismology, and gravity-magnetics. No doubt wartime technology had its effects; certainly the development of seismic and signal processing technology was accelerated by the Great War and World War II. This article is mostly about magnetic surveys, but he touches on all of these technologies. ...geophysics hardly began until the 1920’s, since when it has expanded at a furious pace. Big business found that geophysics would detect new oil-fields with greater certainty than any other means and, as they found this new technique increased their profits, they lavished money upon it for many years. As more money was spent on better instruments and interpreters the successes increased until, in fifteen years, the gravity meter for instance reached ultimate sensitivity. Between them the physicists and geologists discovered numerous oilfields with relative ease and seemed to find the pace invigorating. Certainly the oil industry has created geophysics, which even now is little used outside problems connected with oil. The blustery language ('the oil industry created geophysics'!) and fearless modernism seems quaint now, but the rate of new oil and gas discoveries at the time was several times what it is today (see chart). I sometimes wonder if the thought of technology leading us has left us jaded; one often hears people react negatively to new tools or software: "We didn't need that in my day". Part of me thinks the world has changed so much—hydrocarbons are much, much harder to find today—that this is all really just ancient history. 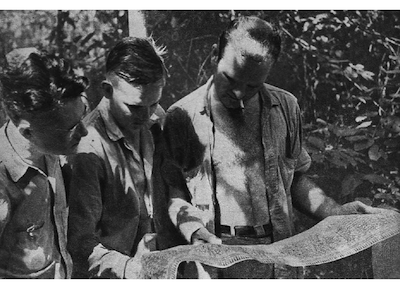 But I also recognize that the tools we have are far more powerful, and our knowledge so much more profound: plate tectonics was still a hotly-debated concept in 1948, for example. So who really has the advantage? Disclaimer To the best of my knowledge, the original article first appeared in the October 1948 issue of Science News, published by Penguin Books of Harmondsworth, England. It is excerpted here, and made available for download, with their advice but not their explicit permission; Penguin is not involved in this website. To the best of my knowledge, the material is copyright free today; if you believe otherwise, get in touch.